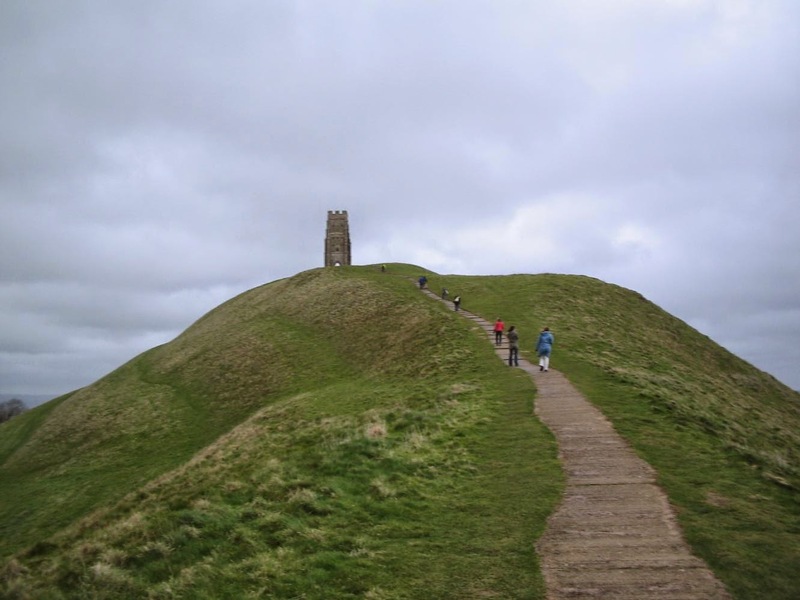 Glastonbury Tor, aka "The Isle of Avalon," mentioned briefly by John Higgs in his new book. Explaining the book, John writes, "The voice on the track Bou Saada is that of Brian Barritt. He makes an appearance in the book Cosmic Trigger, when Timothy Leary tells Robert Anton Wilson that he needs to talk to Brian if they are to both understand Aleister Crowley. "Spending a few months writing a biography of a band who have yet to show their faces in public was not the most career-minded way to spend my time, but it had to be done. This is a story about people who've had some form of visionary or incomprehensible experience, and about how they can only move on and process what happened to them through a creative act. It is about the impact an uncompleted artistic project can have on a life. It also functions as a jigsaw piece, connecting the story in my Timothy Leary book to the one I tell in The KLF. "So, yeah, it had to be written. "No doubt it will be made more widely available at some point, in some format, in some way, should the band keep gigging and putting themselves about." Note that the new book is "about" TC Lethbridge is the same sense that the KLF book is "about" the KLF, i.e. there's lots of other stuff, too. I was discussing Flint's story with the writer and magician Alan Moore and he made a couple of particularly insightful points. His first was that the use of the creative arts to process visionary or incomprehensible experience is, in his opinion, the very reason why art began in the first place. From this perspective, Flint was not trying to subvert the making of music into some form of personal therapy. He was using music for his original purpose. Alan's second point is based on his insight that art and magic are functionally identical. The two words should be viewed as interchangeable, because they both describe the practice of producing intentional changes in the consciousness of others. For Alan magic, like art, occurs in the mind — even if the interplay between the mental and physical worlds can prove to be messier and more confusing that we might like. Alan's point was that, in magic, a great deal of emphasis is based on bringing the working to a close, be that through a banishing spell or a closing ritual. This is considered important because the psychological energies raised during the work can be dangerous if they are not shut down and placed back in their box. If art and magic are synonymous, therefore, then an unfinished creative project can be as psychologically damaging as an unfinished magical ritual. So I've been in an internet hole since reading your interview. I'm currently listening to TC Lethbridge's album and was wondering if you have a copy of this book. I really enjoyed hearing Barritt read from Crowley's autobiography. Neat. Would you be willing to let me borrow your copy if you do have it? If I perhaps sent you my currently priceless copy of Steve Moore's Somnium for your perusal? It was written by Steve Moore who Higgs names a lunar base after in one of his novels and its composition is detailed in Alan Moore's Unearthing project. It is my favorite novel and is currently unavailable. It is just an idea/offer. Let me know- you have my email which is gregoryarnott@gmail.com. I just really love Higgs work and kinda want his life since he got to hang out with RAW, write incredible erudite books without academic qualifications, and is now Steve Moore's literary executor and a friend of Alan Moore's. So so green with jealousy. I'm also a big fan of Spiritualized and once drunkenly talked to Jason Spaceman about Moore and magic outside one of his shows in NC.